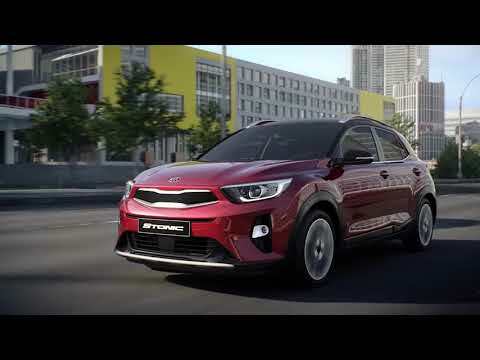 A brand new vehicle from the South Korean marque, the KIA Stonic is a sharp-looking SUV that is easy to drive and comes with a fine range of standard features. It’s also available in‘2’ and ‘First’ trim levels. This rugged yet very chic crossover is bound to make an impression, particularly when you take advantage of its array of customisation options. The vehicle can be decked out in one of a range of styling packs, for example. It also really stands out thanks to its contrasting roof colour. The Stonic rides on attractive, lightweight 17" alloy wheels as standard and comes with a range of useful features, such as power-adjustable door mirrors. The vehicle’s roof rails ensure that there are always additional load-bearing options when you need them. All models feature a DAB radio, which delivers an array of stations in crystal-clear sound quality. Bluetooth connectivity is a standard inclusion too, enabling audio streaming and hands-free telephone communication. Plus, Android and Apple users can mirror their compatible smartphone via the car’s 7" screen. A wide range of driver aids and passive protective features are included, helping to keep everyone on board as safe as possible. Included are Hill-start Assist, rear parking sensors, ISOFIX child-seat anchors and a six-airbag system. Automatic Emergency Braking and Lane-departure Warning are optional extras (or standard with ‘First’ grades).